crowd. 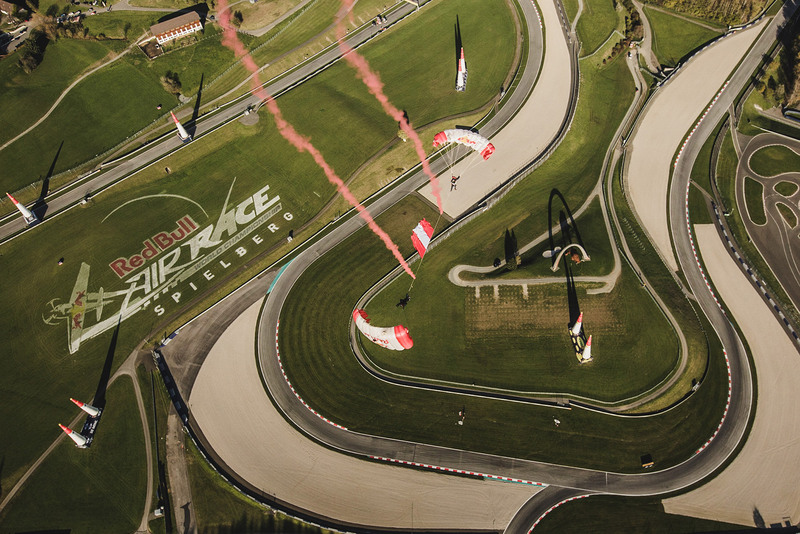 Those precise flight manoeuvres will be smoke escorted to receive an amazing demonstration of human flight. Due to professional training and meticulous preparations spectacular stunts in low altitude can be performed while respecting the highest standards of safety. Free fall as well as wing suit flying is brought to the spectators as close as possible. vertiginous heights and become part of fascinating scenery. Flag-dimensions up to 50 m² will be displayed in the air. The dream of flying has become true. 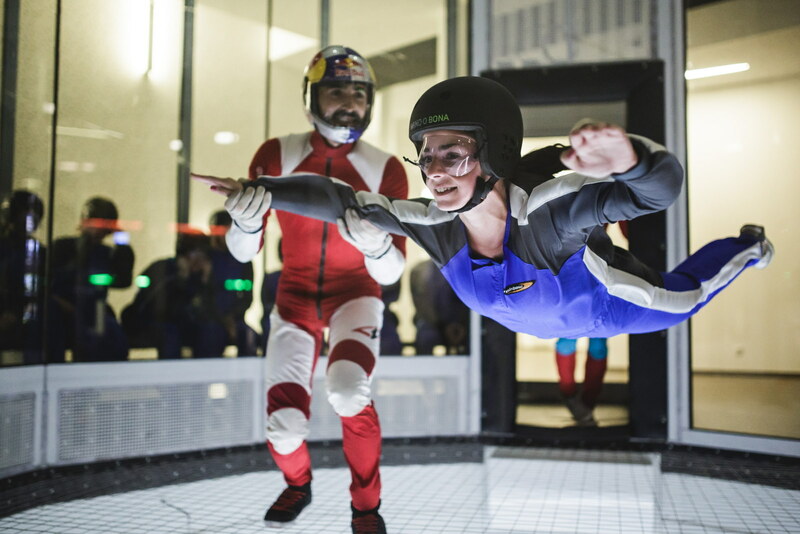 to receive an amazing demonstration of human flight. 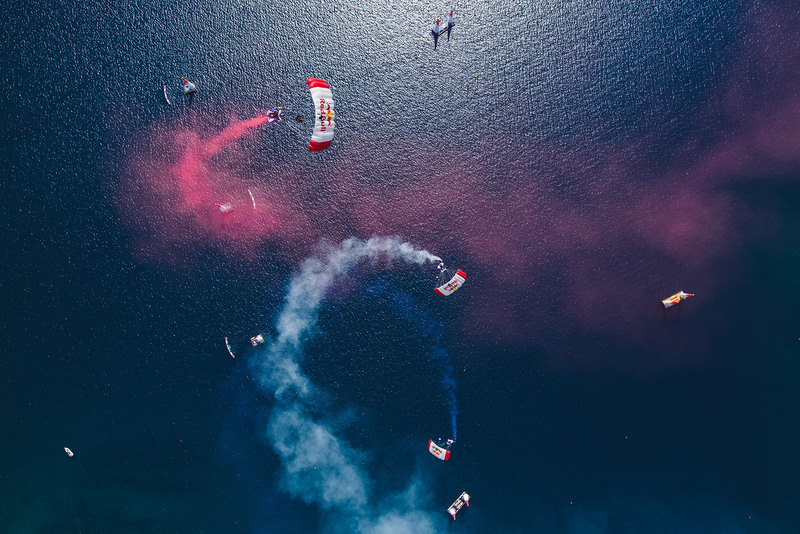 Due to professional training and meticulous preparations, spectacular stunts in low altitude can be performed while respecting the highest standards of safety. 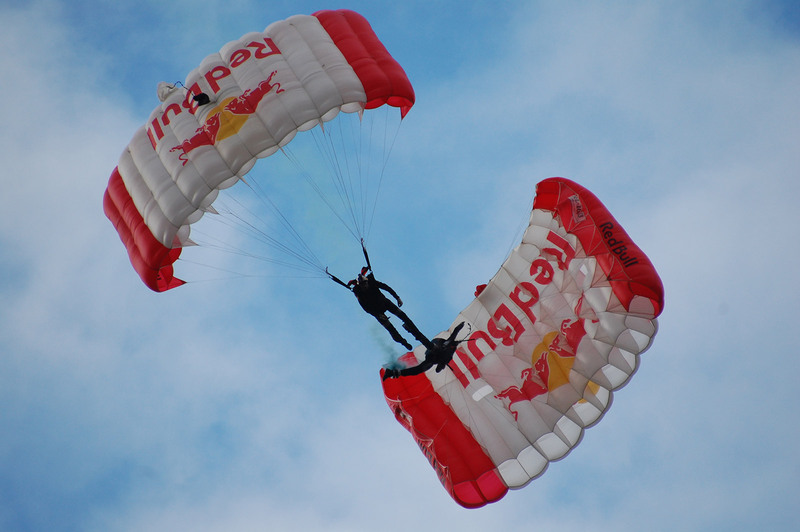 Free fall as well as wing suit flying is brought to a spectacular distance of the observer on the ground. 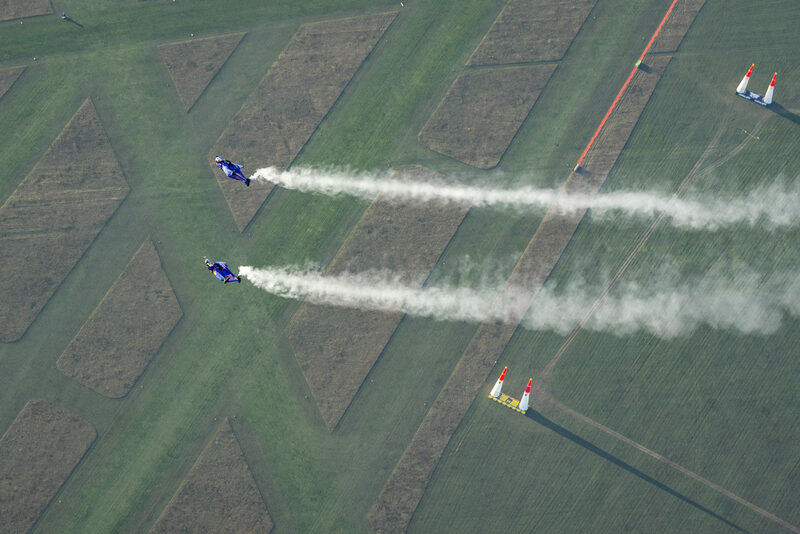 Synchronised High-speed landings will amaze even hard-boiled spectators as velocities more than 100 km/h are brought directly to the ground and wide distances are covered close to the surface. 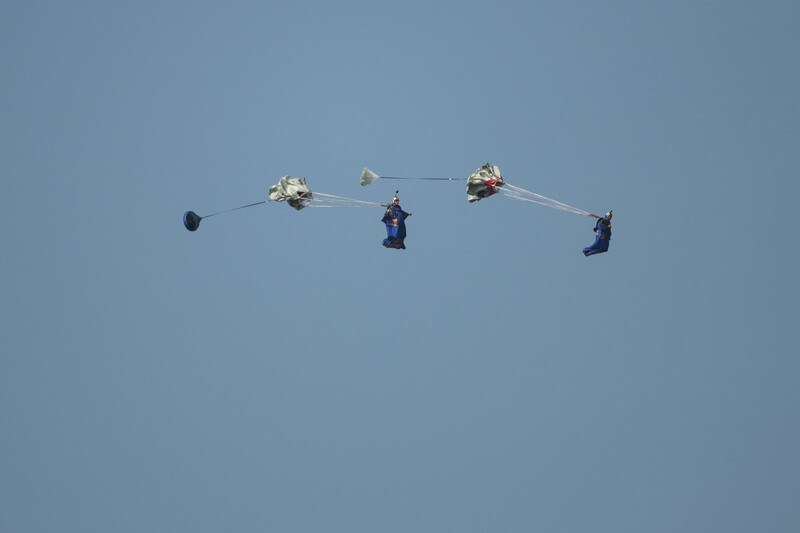 Two jumpers connect themselves and bring their parachutes into a vertical flight mode. This manoeuvre is executed marginal above the ground. Flags and smoke may also be included into this action. Stands for Building, Antenna, Span and Earth. This discipline of the sport covers anything that does not require an aeroplane or helicopter. 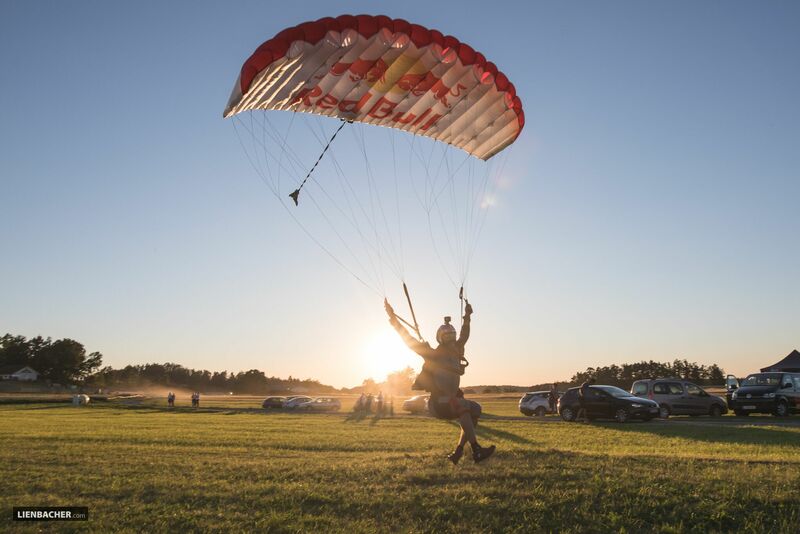 Beautiful flights through mountains and nature objects, quick jumps off buildings or bridges, the independence of any motorised vehicle is another facet of the passion that drives this team’s motivation. Safety, perfection and innovation are the highest priorities for this unique team. Constant work on new concepts and ideas helps them to increase the variety of the sport. Team spirit and creativity are the key words to set the standards of future skydiving and keep inspiring upcoming athletes. 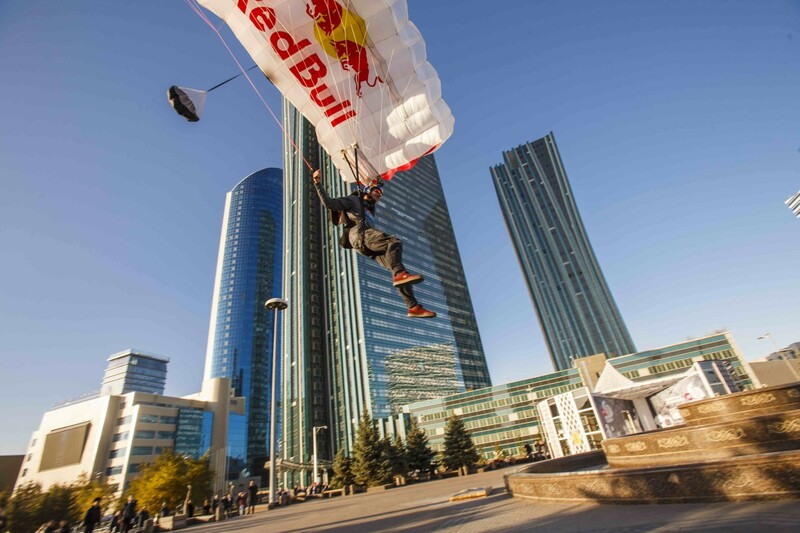 Go with red bull skydive team into the air. to sharpen your skills for the freefall.